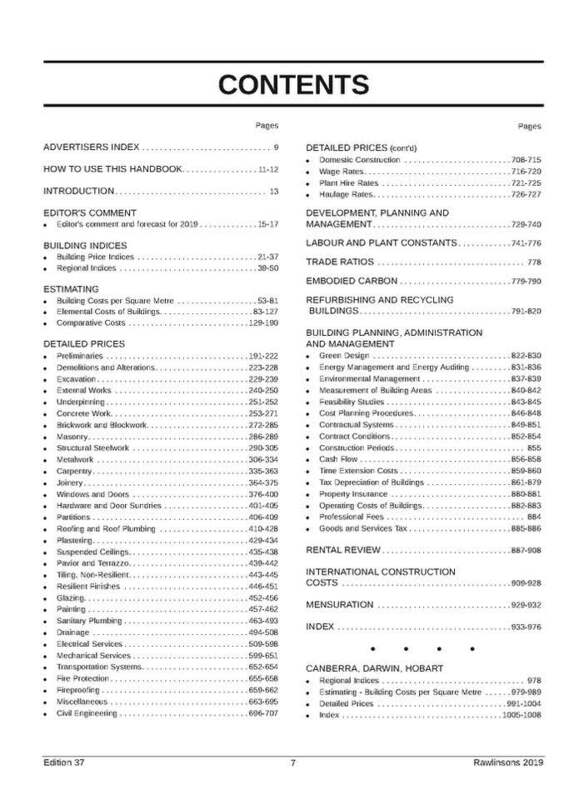 Australia's largest library of construction cost information for medium and large projects. For international and bulk orders (over 5) please contact us for further details. 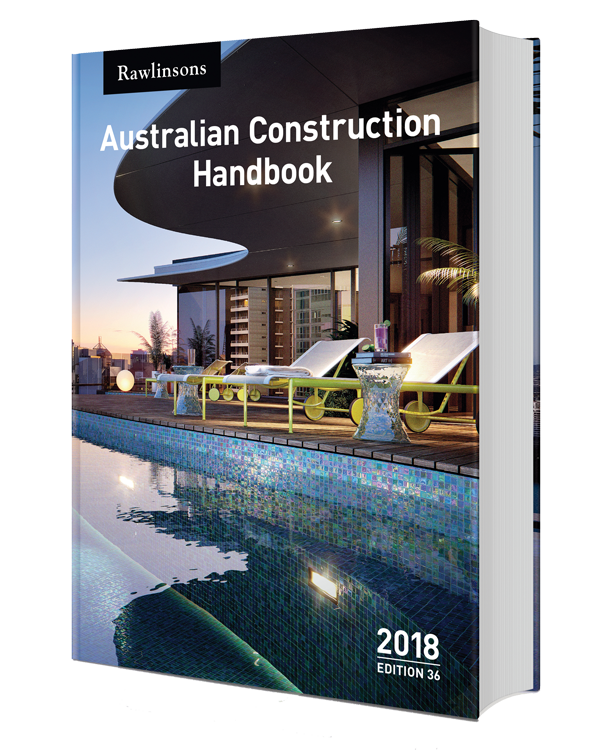 Rawlinsons Australian Construction Handbook, the largest library and leading reference book within the construction industry in Australia, is directed at all projects. View some sample pages of this book. Call us on 61 8 9424 5800 or send us an email. Subscribe to be the first to know of new releases.